Ignacio is an experienced attorney and mediator located in Barcelona. During his 18 years career as an international dispute resolution expert, he has acted as an arbitrator, mediator, attorney and trainer. His professional practice is focused on Commercial and Business Law. He has an extensive experience advising clients in commercial disputes between Spanish and international companies. As a business attorney, negotiator and dispute resolution practitioner, Ignacio has a wide perspective on the legal issues in which companies are involved. He has also developed a dispute management program and has a wide expertise in designing corporate compliance programs in organizations. Beyond his professional practice, Ignacio has a Ph.D. in ADR by the University of Barcelona, and he is an active researcher on Mediation and Dispute Management. 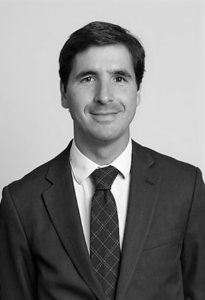 Ignacio is Lecturer of Negotiation, Mediation & Arbitration at several law and business schools in Spain and he has published and co-authored many articles on mediation and other dispute resolution systems. Ignacio has recently been awarded with the Weinstein International Fellowship by JAMS Foundation, the principal ADR provider in the U.S., for a visiting research conducted at Stanford Law School.